CBS aired a promo for ATWFF with Jeff during the live eviction episode of BB tonight. atwff NEW Season of #ATWFF w/ @JeffSchroeder23 (of #BB11 & #TheAmazingRace!) launches Monday, 7/26! It all kicks off on @theearlyshow! The chat with Jeff and Zsolt last night was GREAT!!! Did anyone else watch/listen? I didn't think I could get more excited for this show to kick off, but after listening to the chat, it can't start soon enough!! Cupcake, A belated big time thanks. I did attend based on your message. 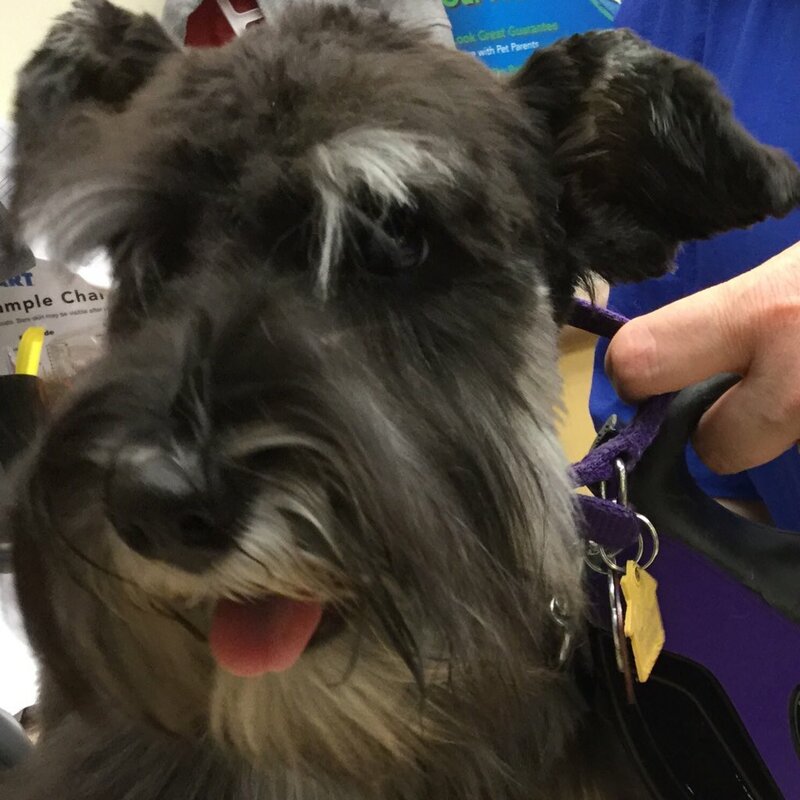 I agree that it was a fun and enjoyable event. Those questions were coming fast and furious. Zsolt did a great job but I wish the questions were directed to a bin where Zsolt could more easily pick and choose the ones to answer. In case there is ever another one, is there a way to go to full screen during the chat? I wished that the video and question sections were larger for more easier viewing. P.S. Zsolt answered a lot of questions from others that I had posted upthread. How are you feeling ahead of the big sendoff? "The best way I can describe it is like going away to college or camp where you're scared but you're excited about the anticipation. You know it will be a great summer or school year, you're nervous in the beginning but once you get into it you have the best time ever." Jordan recently told us that she'll miss you - was it a hard decision to leave your friends and family for so long? "It was an absolute yes when they were thinking about me. It's what I want to do, I want to see the world. To me, it's a no-brainer. Would you rather be stuck behind a desk or going out and seeing the world? I know I'll miss my family and obviously I'll miss Jordan, but we'll be in touch through phone and computer all the time. You don't get a chance like this too often so when opportunity knocks you have to open the door for something like this." Would you say being on The Amazing Race was good preparation for this? "I guess, somewhat! (laughs) Jordan won't be with me this time! We could have used Zsolt on The Amazing Race! It prepared me a little. It's definitely a totally different scenario we're getting into here but it was good preparation." What will you be bringing with you besides your satellite phone and computer? "I haven't picked out my wardrobe yet but you don't want to be carrying around a lot of stuff. I definitely learned that from The Amazing Race when I dumped half my pack. I think I'll pick out a couple of my favorite T-shirts, maybe two pairs of shorts, some underwear, a good pair of shoes, some flipflops and swim trunks and I'll be ready to hit the world!" What sort of preparation can you do for this? "I work out, I try to hit the gym three or four times a week so I'm working on my endurance. I think I need to work on my patience because there will be a lot of downtime, long bus trips, waiting on the side of the road, waiting for people to reply, so I think working on my patience is more important than the physical part." Zsolt: "This is more of a mental thing. It isn't a race, we're not trying to outrun a clock. It's a human thing of how do you keep going for 100 days non-stop - often 16 or 20-hour days - away from your family and friends?" "I do not, so this is a question for Zsolt!" Zsolt: "I speak six but I would trade some of those for one Asian language. We're not taking the talking dictionaries along. I want to see Jeff mime his way through a situation with a smile! I don't want him to have these crutches to lean on, I'm not going to help him too much either. Of course, we're buds on the road and have each others' backs, but the interesting thing is how he will stumble through a Tokyo or Thailand or India if necessary." Do you have any idea which countries you will be visiting yet? "We have no idea and that's what is so great about the show. It's all up to the audience and it's all interactive - they get to journey with us. We're seeing it through the eyes of the locals and bringing the audience with us. They determine where we go." You're starting in New York City. How will you decide on your first destination? "After we walk off the Early Show set on July 26, the show starts. I have no money, only my computer and satellite phone to stay in touch with the audience. I'll log on and see who has made a profile and can help me out and that will determine which direction I go. We want to stay away from the season one route, we don't want to repeat the same direction he (Alex Boylan) took through the Caribbean and South America. We want to make our own path and go with the flow, whatever the audience suggests." Zsolt: "Sometimes many different suggestions might come in and Jeff and I will decide on the fly which one we like best. But sometimes we may be in an extremely remote location like the jungle in North Thailand and it's only a stranger on the road who can help us because no-one from the online audience is reaching out, at which point we have to hitch a ride and see what happens." Did you ever imagine you'd be in this position a year ago when you entered the Big Brother house?"Never! Me and Jordan were just out to dinner yesterday and talking about that exact same thing. What a difference a year makes! To be on two reality shows and then doing my dream travel show, it's exactly that, a dream come true. I could never have imagined it, but if you stick hard to your dreams and know what you want in life it can happen, it's crazy." Are you interested in pursuing a TV career now? "It would be something I want but who knows what will happen after the show. Right now my focus is 100% on doing the show and wherever the chips fall after the show, they will fall." Here's the new twitter account Jeff will be using during the show.....not sure if he'll still be using his personal twitter account....keep following just in case! atwfflive Just finished my last workout, getting last minute things together. jeffschroeder23 Also follow @atwfflive for the latest show updates while were on the road for ATWFF! Thanks to everybody in advance for all your support! Thanks!! Tomorrow is the departure day!! Tune into CBS The Early Show to see them leave! Thanks so much for posting the video. I couldn't find it at the CBS site. Due to the magic of editing, Jeff's short phone call to Jordan was really 8 minutes long (6:51 to 6:59). Jeff should have covered up his e-mail address better. I think it would be easy to figure out. I thought that AA had put Jeff in first class (3A). But no they didn't. Jeff flew on American Eagle to Charlotte. Being an AA Advantage member, I know that 3A on an Eagle regional jet is an aisle seat on the one side. I also looked at the AA schedule and realized Jeff probably flew from Raleigh to New York because that's the only non-stop in that area to N.Y. If he had flown from Charlotte to New York, he would have had to fly back though Chicago. Finally, that map that the CBS web site is pretty cool. At the time of this message, Jeff is currently a few blocks south of the Early Show. I wish Jeff the best and am looking forward to watching his trip. Jeff was great on The Early Show.....he's a natural! I'm glad July Chen was there to do the interview! I've been in front of my computer all day following Jeff.....so much fun....I'm loving this show! Can't wait to see where he ends up next!!! At The Crows Nest the site where the Perfect Storm was based around where we did tequila shots, Oy! 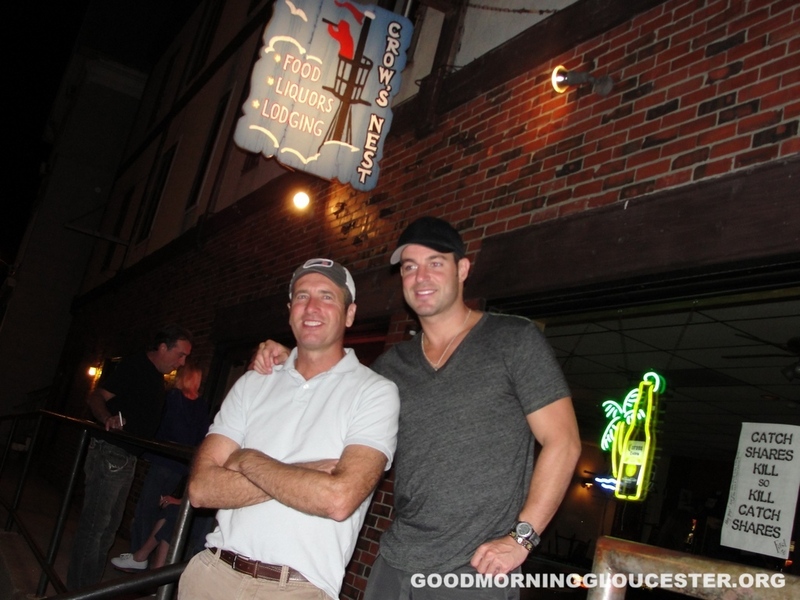 BTW the reason I'm giving you guys exclusively the first photos beside being on my blog is because you were kind enough to properly credit them to Good Morning Gloucester when we had the first photos of Season 17 Amazing Race kicking off and linked back to Good Morning Gloucester. I appreciated it and feel like it is only right to give back to this community. Heee...I'd love a day like that too! 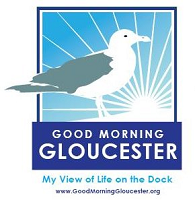 Please go check out www.goodmorninggloucester.com for loads more! Joey brought him to the greasypole and gave him two options. 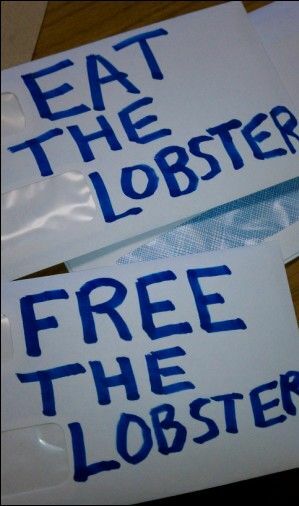 One he could eat all the lobster he could eat or two he could set free the one in five million blue lobster they got last week but he had to walk the greasy pole. Jeff is a lucky guy! For those who may not follow TAR ( ) Joey brought us all the lovely pictures of the TAR 17 starting line. Thanks so much for these! atwfflive Calling it a night, finally getting some rest! What a day 1! Can't wait till u guys see the webisode! Outta Boston tomorrow need some ideas? Can't wait to see it! From your basement eh?